The Rhode Island Department of Transportation (RIDOT) announced today that it will hold a public meeting on Monday, February 27, 2012, to discuss the proposed changes to the Massachusetts Bay Transportation Authority (MBTA) fare and service schedule. The meeting will take place from 6 to 8 p.m. in the Atrium at the Rhode Island Department of Administration, One Capitol Hill, Providence. RIDOT will facilitate a discussion between the public and representatives from the MBTA, who will be on hand to present the plan and answer questions. Facing a serious revenue shortfall, the MBTA has introduced a proposal to increase fares by an average of 35 to 45 percent and to eliminate service on many of its transit lines. 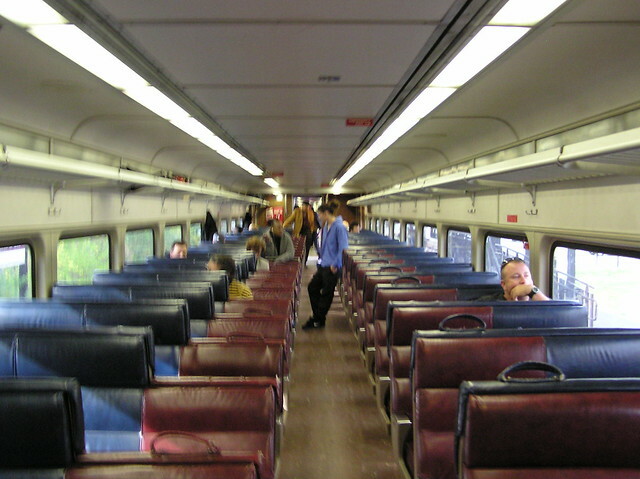 In Rhode Island, this would affect the Providence/Stoughton line, which provides commuter rail service to Providence and T.F. Green Airport. Under the plan, service at these stations would be eliminated on weekends, and on weekdays after 10 p.m. Rhode Island would lose four weekday stops and 19 weekend stops. More information about the MBTA’s proposal can be found at its website. Hopefully Rhode Islanders that take the MBTA to Boston everyday, as I do, will focus their energy on engaging their local and state representatives to develop and enact a plan that will allow the great talent that leaves the state every morning to find comparable paying and challenging careers here in the Ocean State rather than venting their frustration on the MBTA itself. The Beacon Hill slight-of-hand, pay for a chunk of a highway project, the Big Dig, on the back of the MBTA. Eliminating weekend service and several weekday trains will pretty much insure the failure of Rhode Island commuter rail just before a third commuter station opens. How might the proposed cuts effect the Pilgrim Partnership agreement? Has anyone ever read the agreement? the service was pretty bad on weekends and weekdays after 10pm that is why noone was using it. The lost is not what was, but rather what might have been but never saw the light of day. What is bad about the weekend and after 10pm service? And the cuts are not the result of no one using the services it is the result of a massive budget problem at the MBTA. Is anyone in this group in touch with groups in MA fighting this fare increase/service cut proposal? If so, what is their strategy to fund the MBTA an avert these setbacks? While RIDOT is to be commended for having this hearing, it seems Rhode Island can do little to help the MBTA. One thing that might help is regional cooperation to fix transportation funding, for example (legitimate) border issue concerns make both states reluctant to raise gas taxes but as aa result both roads and transit in both states are sufferring. Tolls are another issue that might be considered regionally rather than each state for itself. Why should only NH and Maine get all the toll revenue along I-95 in New England?